If you think Google is a company with no record of you, you need a reality check. Google collects far more information of its users than any other company and that’s largely because its survivability depends on advertising and data collection activities. This information is gathered from all of your communications with the company: through Google search, the use of Google Maps, Google Photos, Google Assistant and a lot more. The company is known for keeping a low-profile of its activities, but at the same time it doesn't keep it a secret either, all thanks to the new privacy laws. If you’re aware of the right ways, you can see what and how much Google knows about you and limit what it uses for advertising purposes. 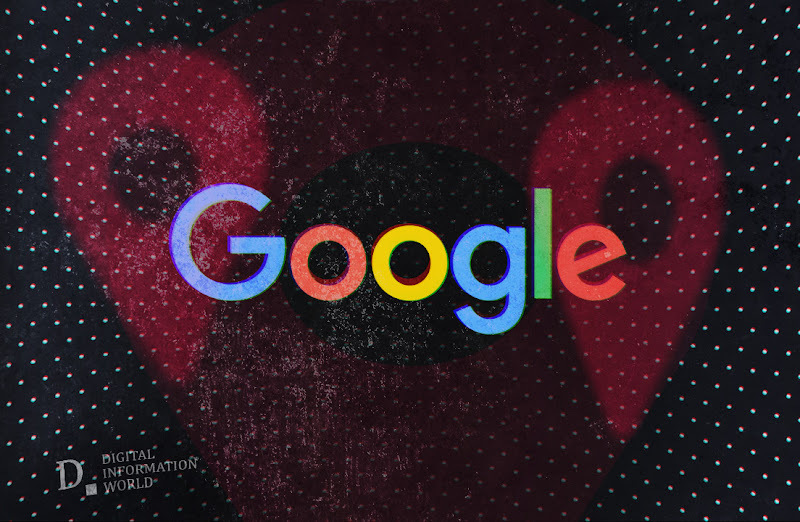 Here's how to see what Google knows and take control of your data. Google Is Tracking Your Every Move! In 2018, Fox News put out an investigative report where they showed that Google is tracking your every move. To prove their point, they used two identical cell phones with no sim cards and no Wi-Fi access. In fact, one of the phone was set to airplane mode while the other was left in its original state. The investigation got interesting once they connected the phones back to a Wi-Fi network and they discovered that these phones transmitted a lot of data back to Google’s servers. With that in mind, a question arises, how is Google managing to track your every move? And can you actually turn this off completely? If you’re looking for a short answer, hate to break it to you, yes Google can still track you. The thing is that numerous applications use location sharing through your phone’s GPS antenna even if your phone is in airplane mode. However, turning location sharing off will prevent apps from accessing the phone’s location and you can easily do that from the phone’s settings. Does that mean the phone is no longer collecting any data? You wish, Google is still collecting information. You see, it’s not just GPS, several flagship smartphones come packed with numerous sensors, all which record data, like a gyroscope, accelerometer, magnetometer, barometric sensors and temperature sensors. All that data is logged within your phone and when you connect your phone to a Wi-Fi network again, it takes seconds to send it off to Google or any other application within your phone that has requested for this data. Google claims that they utilize this information to monitor behavior patterns and to optimize connectivity for the phone, giving users an enhanced user experience. What about other apps that are making use of this data? Well, apps other than Google are using that data to serve users with relevant ads. As a user, we often don’t think about repercussions and instantly give rights to applications that seek permission of our microphone, camera, contacts, phone logs, and so much more. Speaking of microphone, Google’s Voice Assistant is an always on feature that stays active on our microphone. Google unveiled its revolutionary voice engine in 2016. The assistant is powered by artificial intelligence which, engages in two-way conversations. From your phone to your car, Google Assistant is available on nearly all smart devices and listens to every conversation that takes place. The brains behind the assistant allow users to do tasks without touching their device. So, you can say: “hey Google, open Chrome” and the Chrome browser will simply open up on your device. It can also be used to take news updates, set temperature of your room when coupled with an IoT device and so much more. With Google constantly listening, you can say goodbye to privacy. Since, you have given full access to your microphone to Google Assistant and Google Search they can track the information that you don’t want give. You bet, people have alleged that google actively listening to the conversation and then displaying ad related to that particular conversation. For example, two friends are taking about planning vacation in Australia and they then see ads related to that, on websites that serves Google Display Ads. Don’t fancy Google Assistant, you can deactivate it by heading over to the application’s settings and disabling the Google Assistant option. If you wish to take your privacy a step further, you can simply uninstall the Google Assistant application to eliminate any chances of your conversations being stored on Google’s server but before uninstalling make sure that you delete Google voice history so that all the voice previous voice logs are deleted which means Google can’t use that in the future. Every phone comes with a Gallery. Google Photos is similar to your native gallery application except it’s a redefined photo gallery which automatically makes a secure backup of your photos and videos in an organized manner. Its aim is to rid your phone from unnecessary space issues. While the idea of a free back up sounds appealing, there’s one thing you should know: there is no such thing as a free service, period. On March 5, 2019, researchers from XDA Developers have explained a security vulnerability in Android TV devices which suggests that the flaw could potentially leak users’ Google Photos. You see, your Google account is linked to multiple devices at the same time, such as your Android TV, Android Auto, Smartphone, Tablet and so much more. If any one of these devices were to have a security vulnerability, the entire ecosystem gets affected. If you wish to pause or delete the auto backup of your pictures from Google Photos, head over to your phone’s settings, go to accounts, choose Google, click on the last sync option, tap on Google Photos Backup and you’re done. If you wish to know on how to delete Google Photos, head here. So, how can one go truly off the grid? Well, that’s something which can’t be done in today’s technologically advanced era where everyone needs to stay connected at all times. However, by going the extra mile to protect your personal data, you can surely reduce the amount of data that big corporations like Google can collect on you. This is a sponsored post by Purevpn. The opinions expressed in this article are the sponsor’s own.